Oyinlomo Quadri reaffirmed her readiness for a remarkable outing at the ITF Africa Junior Tennis Championship which commences this week in Tunis, Tunisia, by clinching the top prize at the 1st MP Tennis Championship concluded at the Lagos Country Club, Ikeja at the weekend. Quadri, the Western & Central African U-14 Girls’ champion edged her Tunisia-bound teammate, Angel McCleod in a thrilling final winning 4-2, 3-5 10-5 to set off for the clay court tournament at the Mediterranean country on a winning note. triumph over McCleod, who is of same age with her, but will be featuring in the U-16 category as part of strategies aimed at fast-tracking her development. Another member of the AJC team, Martins Abamu lost to Christopher Bulus 4-1, 2-4, 5-10 in the boys’ U-16 where Michael Oshewa and Ayoola Micheal, both of whom are also in the train to Tunisia, reached the semifinals. 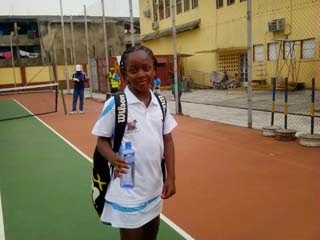 Star-prospect Serena Teluwo was impressive as she recovered from a set down to beat Mary Udofia 1-4, 4-2, 10-8 for the Grils’U-10title while Gabriel Ekundayo clinched the boys’ version by beating Stephen Akpanke 4-1, 4-2. Matthew Abamu defeated Wilson Igbinovia 4-2, 4-1 for the Boys’ U-12 title. Meanwhile, an eight-man delegation was scheduled to depart Lagos for Tunisia via Morocco in the early hours of Monday. 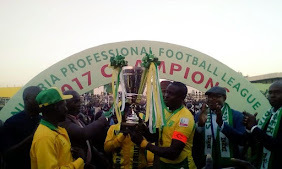 The team includes Oyinlomo Quadri, Angel McCleod, Blessing Patrick, Timipre Godsgift, Micheal Oshewa, Michael Ayoola and Martins Abamu. National junior tennis coach, Mohammed Ubale, who is leading the team, said Adetayo Adetunji will be joining the team from her base in South Africa via France.